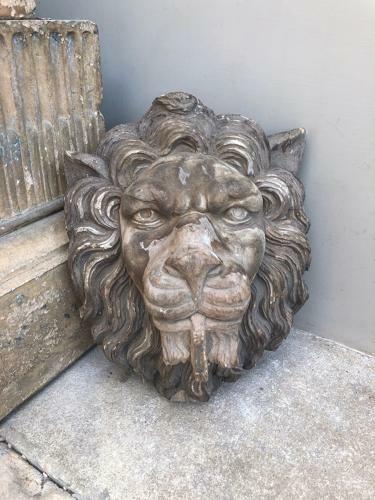 Late Victorian, turn of last Century Wonderful Carved Oak Lion's Head. Faded and uncleaned I love it just as it is in complete untouched condition...the carving and detail is wonderful. He is a lovely expression (I find many lions dont) and would be lovely wall hung or over a door etc.